'Gypsy Sisters' Star Arrested for Coupon Scam ... $18k Worth o' Toys!!!! 1:10 PM PT -- Law enforcement tells us Mellie allegedly pulled off a massive coupon scam at Toys "R" Us and Babies "R" Us. Authorities say Mellie and her husband used counterfeit coupons to purchase $18,000 worth of gear at both stores. Both of them were hit with the same charges and are being held on $13,000 bail. 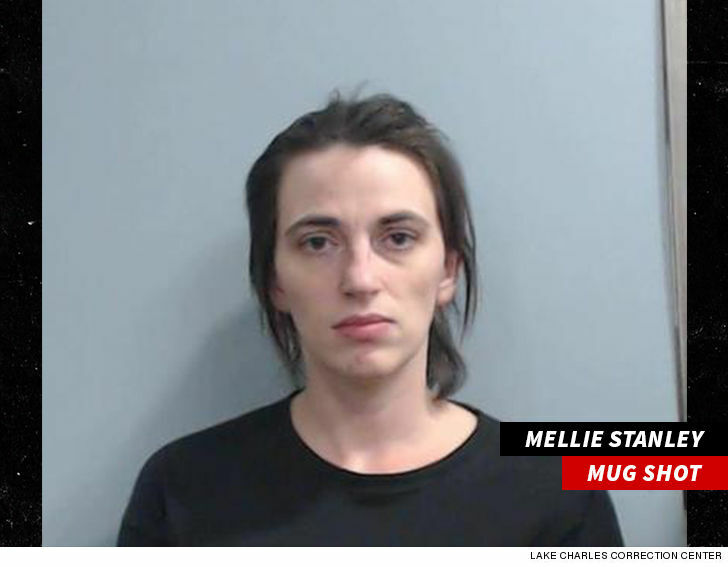 "Gypsy Sisters" star Mellie Stanley revived her old role as the family's black sheep ... after running afoul of the law again. Mellie was arrested Thursday morning in Lexington, Kentucky on a warrant. She was booked for theft by deception, criminal possession of forged instrument and unlawful access to a computer ... this according to docs obtained by TMZ. It's unclear exactly what Mellie was doing, but we're told she allegedly committed the crime a couple weeks ago when the warrant was issued. She'll be arraigned later today. It's not her first time running into trouble. In 2014 she and her sister were reportedly busted for running a coupon scam at a Target in North Carolina. Mellie's then-husband was also arrested back in 2015 after a heated argument between the couple sadly led to Mellie's puppy being killed.